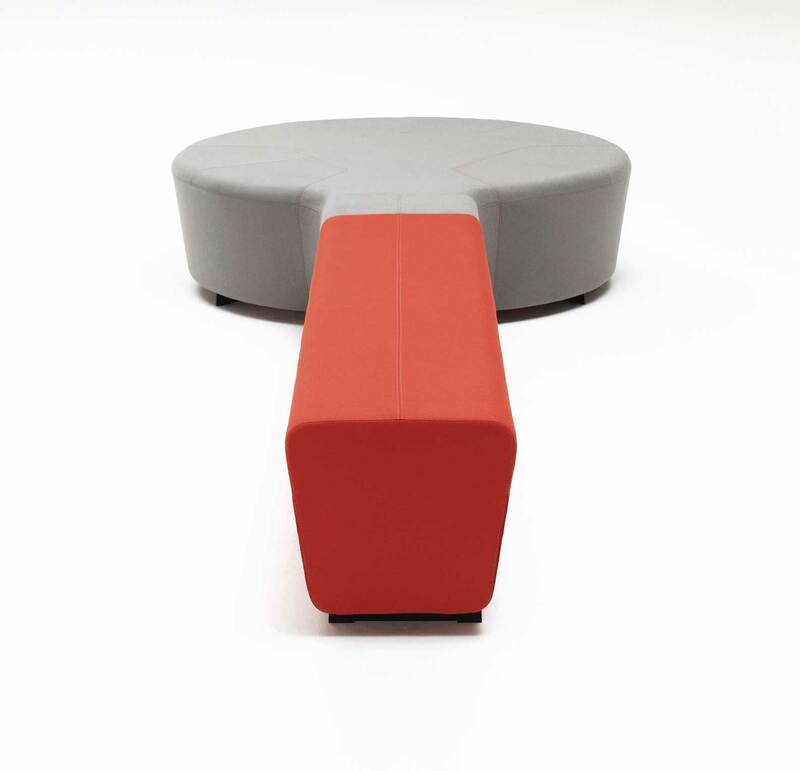 A public seating programme, molecular in inspiration and based around an upholstered round seat unit (1500mm dia.) 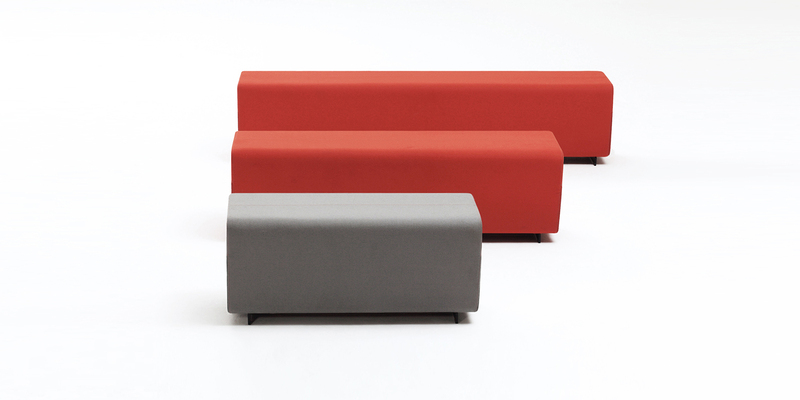 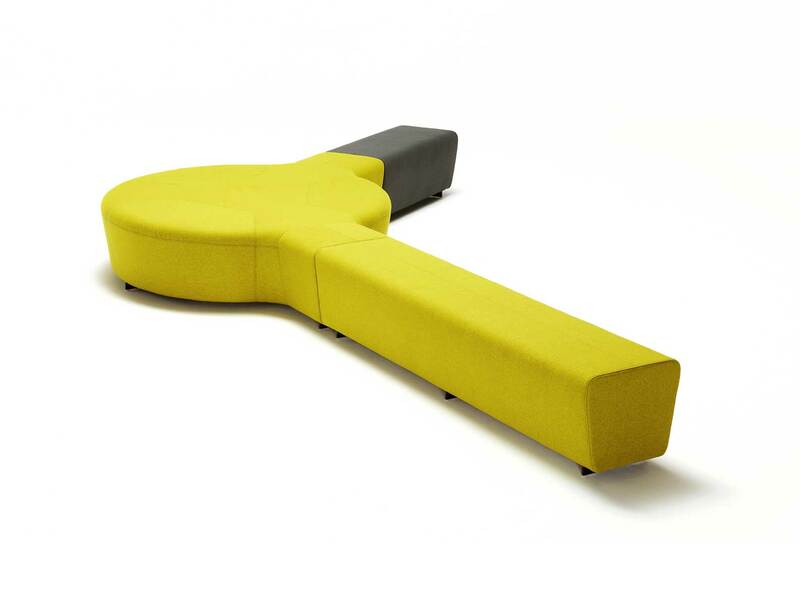 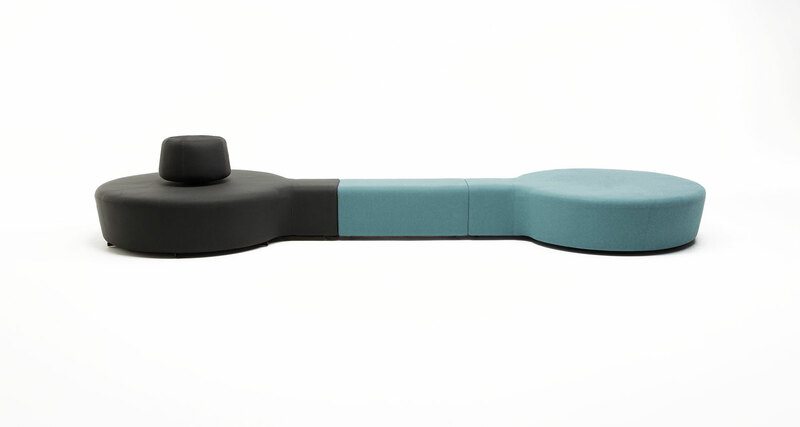 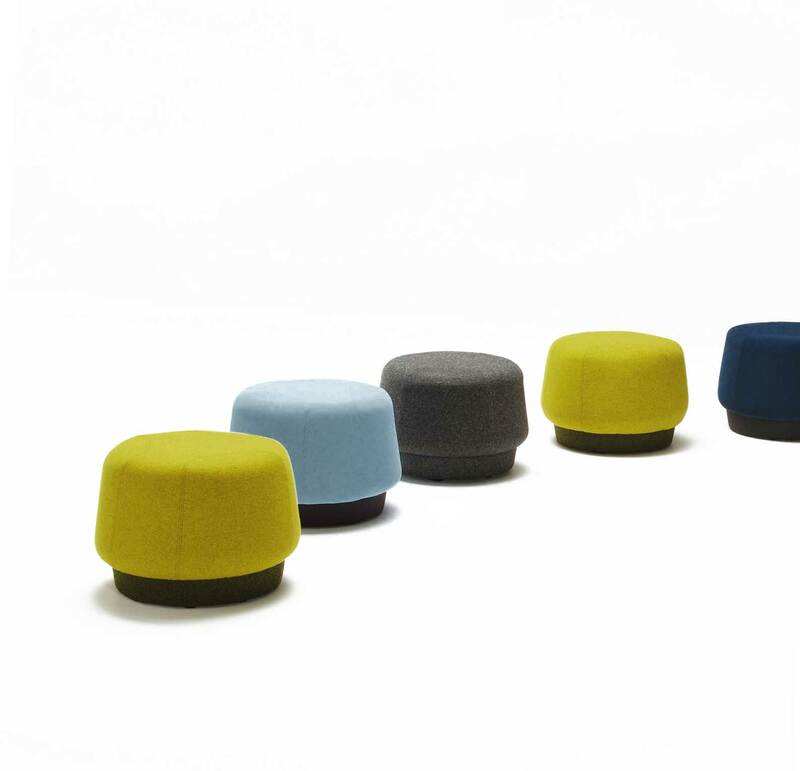 available with or without a central back support; it can grow offshoot benches and expand in one, two or three directions to 'dock' with other circular seat units or benches to create intriguing patterns within an interior. 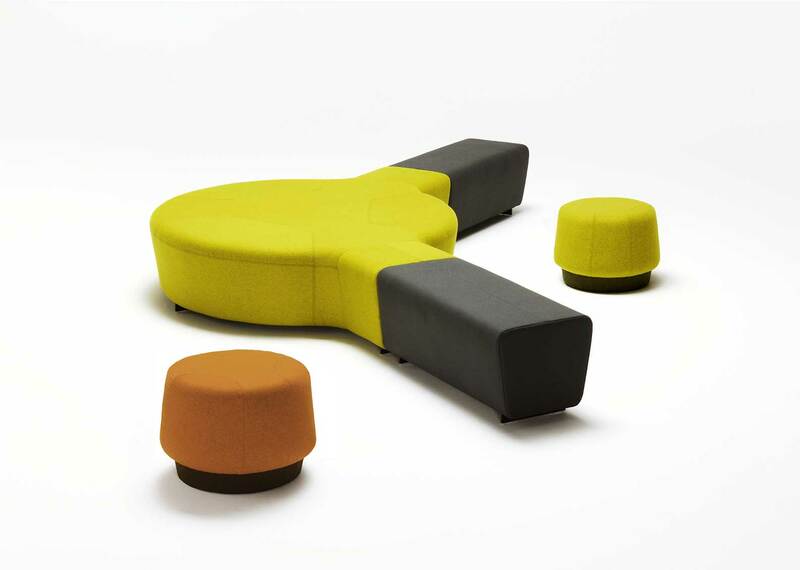 There is concision of design elements throughout with the bench having a very simple graphic form echoed in the round hubs and stools.